As the month of May wanes and we come to the end of our Asian Heritage Month celebrations, I want to make note of my 5 last recommended titles for reading. These ones are a bit different: they’re not ones I’ve already read, rather they are on my “to read’ list. Maybe they’ll end up on yours too! 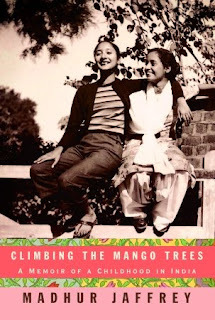 Climbing the Mango Trees by Madhur Jaffrey - I haven’t talked much about nonfiction in this series of posts, but this is a biography that I’ve been wanting to read since its release last year. Madhur Jaffrey is a well-known (okay, I guess a celebrity) chef who has turned a lot of people onto cooking Indian cuisine. This is the story of her childhood in India - specifically in Delhi and Kampur and is filled, alongside other biographical details, with descriptions of the cuisine of her family and region. The biography also includes some recipes, or you may want to check out one of Jaffrey’s cookbooks as a companion. "An epic Chinese tale in the vein of The Last Emperor, Wolf Totem depicts the dying culture of the Mongols - the ancestors of the Mongol hordes who at one time terrorized the world - and the parallel extinction of the animal they believe to be sacred: the fierce and otherworldly Mongolian wolf." The book One Hundred Million Hearts by Kerri Sakamoto is also a good read. It is kind of a coming of age story. It looks at Japanese involvement in World War One and the effects that involvement (and loyalties associated with it) have on young woman living in present day Canada whose father trained as a kamikaze pilot. While I had mixed feelings about this book while I was reading it, I have to say the story has stuck with me ever since.